Maboroshi no Taki hails from Mikunihare Brewery nestled in the Hokuriku Region surrounded by bountiful scenic beauty. Utilizing spring water from an aquifer accessible from the brewery grounds and Toyama Prefecture Oyamanishiki and Tentakaku rice, milled to 60%, yields a clean, smooth, and mild rice-forward brew. 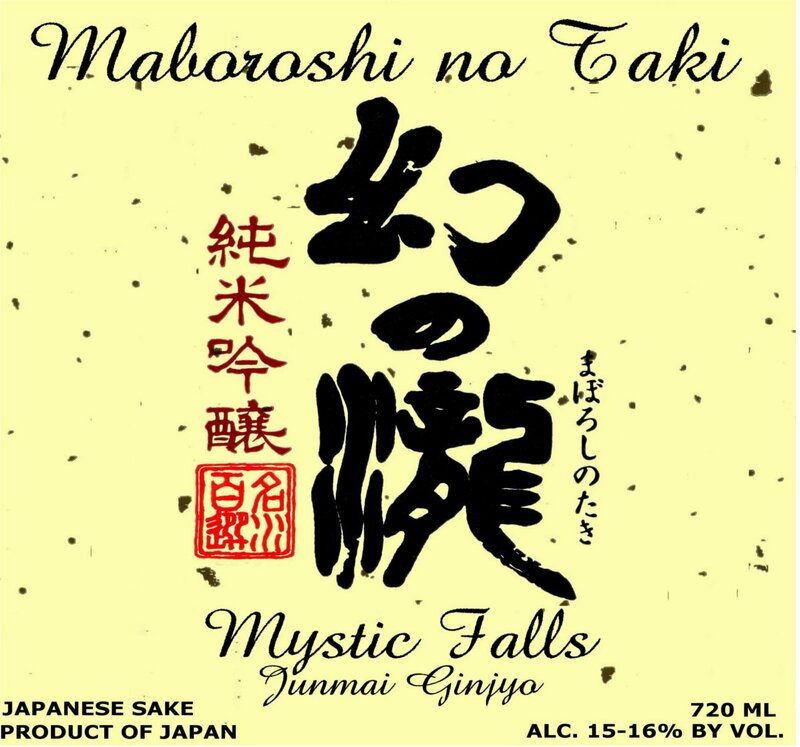 The brand name Maboroshi No Taki refers to the mirage waterfalls that can be heard but not seen or precisely located due to the dense forest in the Mt. Tate area. Delicately Mild and Light. Shows completely differently when served in stemware versus sake cup. Tarnished silver color. Crisp, pear-like opening aromas give way with further aeration to grain-driven scents, including steamed white rice, soy bean, tofu, milkweed. Taste profile is lemony, sesame-like, dry, light in texture, lithe in character, delicate. Aftertaste is stately, clean, dry as stone.